There’s a world of choices you can pack right into one unforgettable Morocco trip of a lifetime holiday experience. 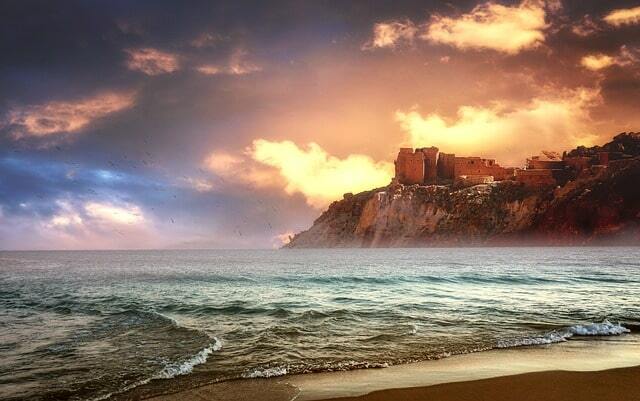 The North African country of Morocco is an incredible holiday destination for many reasons. 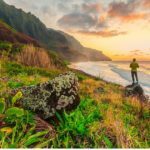 Normally, when choosing where to go, there’s one thing on your mind, whether it’s to explore a new city, trek through the region, or just lie on the beach for a while and let all your worries fade away into the sunset. With so much on offer from this enthralling African country on the doorstep of Europe and only a few hours’ flight away from most capitals around the continent, it’s no wonder tourism is soaring. 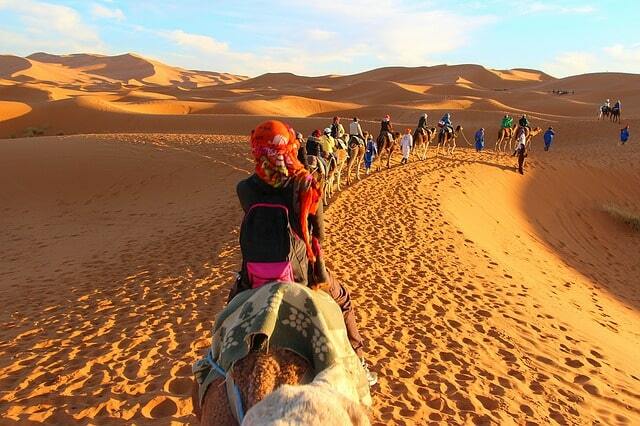 Travellers are discovering the rich culture, heritage and astounding sights all across Morocco. Last year, the country of nearly 36 million people welcomed more than 12 million foreign tourists, a new record compared to just over 11 million the year before — and slightly over 8 million a decade ago. 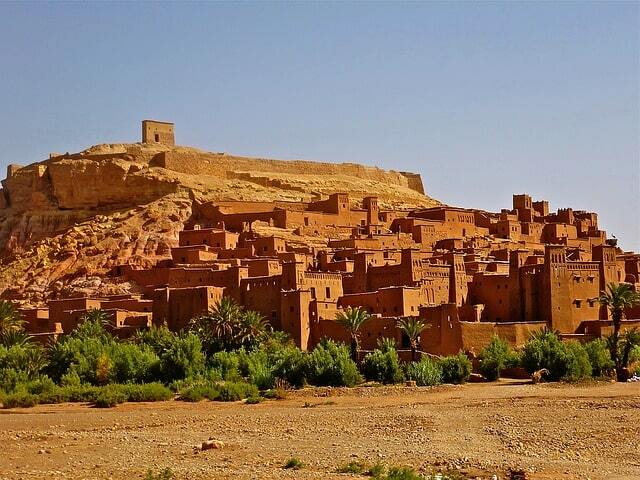 Many people going on trips to Morocco opt for one of the nation’s enthralling and ancient cities as a base for the duration of their stay, and make a number of excursions to different areas of interest. 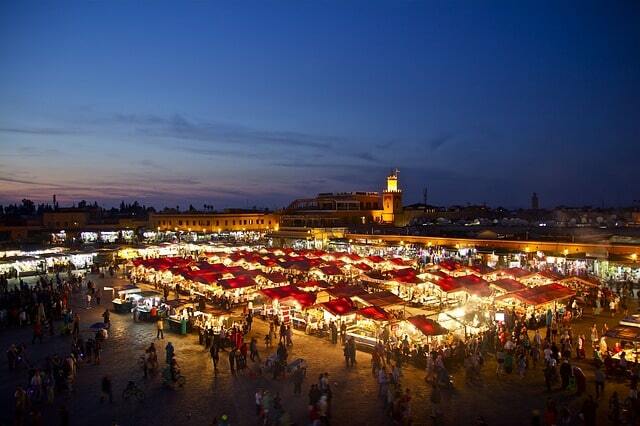 Places like Marrakesh, Fez and Casablanca have always been popular. Noted for their vibrant air, generated by a people with an incredible zest for life, kaleidoscopic marketplaces where you can lose yourself in the full spectrum of bleating colours, and robust smells and sounds, will make you feel heady with excitement. And then, there’s the magical wonder of immersing yourself in a timeless culture that’s a world away from the banal life we may know all too well. Other places, like Rabat, Essaouira, Ouarzazate and the port city of Tangier — only a short ferry ride across the Gibraltar Strait from Spain — are alluring in their own right and offer the visitor the chance to see stunning local architecture that collectively has been the hallmark of Morocco for centuries. These are cities where time simultaneously stands still and moves fast, and once you stay in one, it’s a sure bet you’ll come back again and again to see what more you can unearth and pack in on an exciting holiday break in Morocco. If you’re planning to spend a night in Morocco, or perhaps lots of them, what better way than to head out into the Sahara Desert and have an experience quite unlike any other? The largest dry desert in the world covers most of North Africa, including parts of Morocco, and many tour companies can arrange astounding trips out into the enormous, winding and towering desert dunes, by vehicle, on foot or aboard a Ship of the Desert (a camel). Out in the Sahara, you can see everything and nothing, and people who have been there speak of the incredible stillness and a quiet, romantic allure that makes you feel strangely connected to this vast, empty space. You’ll come away with a new appreciation for life and feel entirely refreshed. Thanks to the organisational capabilities of local tour companies and their expert local guides, you can stay out in the desert for a while — a few days, or even a week or more. They’ll set up camp for you and you can enjoy luxurious tents with all the comforts of home and the best in catering as you recline by a roaring, open fire and gaze at shimmering stars unfiltered by pollution. Wrapping up a trip in Morocco is all the easier when, after exploring beautiful cities and encountering the allure of the desert, you take some time to pamper yourself and totally let go by visiting some of the country’s famed beach resorts and enjoying world-class hospitality. Don’t forget that the western half of Morocco is coastal and lapped by the warm waters of the Atlantic Ocean — and because of the country’s position, it’s warm weather all year round, so you can go any time you please. Beach resorts like Agadir, for example, offer the visitor a sun holiday filled with fun and excitement, as well as stunning views of sea, mountains and so much more. 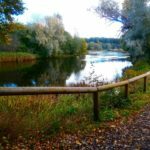 These are developed, mature tourist resorts where you can play golf, go horse riding and take part in many other activities when you’re not indulging yourself in the warm, golden sands. It all adds up to a multi-sensory, action-packed and thrilling holiday experience.